New Mexico is ranked 8th in the nation in food insecurity (not knowing where your next meal will come from). 21% of New Mexico residents face food insecurity, and a closer look at that number shows that 1-in-4 children and 1-in-6 adults do not know where their next meal will come from. The ECHO Food Bank works hard to provide food to those in need. This past year we helped 15,000 of our neighbors in San Juan County with 2.5 million pounds of food. Community donations provided 5,133 backpacks filled with shelf-stable, kid-friendly, open-and-eat foods in 17 area elementary schools. And 2,100 Low-income seniors, mothers, and children received much-needed food and nutrition information every month. Volunteers make it happen! The community donated 12,000 volunteer hours in the Food Bank this past year. Food programs are available in Farmington at 401 S Commercial and at various remote mobile pantry sites. Call 505-325-8222 for more information. The Commodity Supplemental Food Program for seniors is also available in our Albuquerque facility at 300 Menaul NW #226, 87107. Call 505-242-6777 for more information. Emergency Food Boxes, hygiene kits, and infant boxes (EFB) are provided up to 4 times in twelve months for individuals or families in crisis. 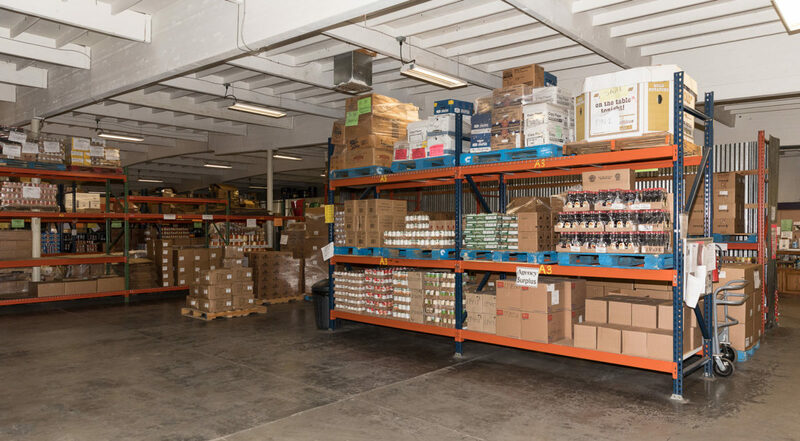 The Emergency Food Assistance Program (TEFAP USDA foods) provides monthly surplus USDA commodity foods for income-qualified New Mexico households and select non-profit hunger relief organizations. The Agency Surplus Program (ASP) provides both food and non-food items at or below cost to other non-profit feeding programs. The Food and Nutrition program(FaN) provides special diet boxes each month to individuals on specially prescribed diets (such as medically fragile, diabetes, etc.) who cannot qualify for other programs. The Fresh Produce Program (FPP) provides fresh fruits and vegetables–as available and free of charge–to low-income individuals, families, and other feeding programs. Holiday food boxes & Operation Merry Christmas food boxes are available during holidays in cooperation with other service providers. The Backpack Program (BPP) provides individually packaged, kid-friendly foods in nondescript backpacks to area Elementary School Food Pantries. School personnel determine children at risk for returning home to empty pantries and send the food home with information on family assistance programs. Volunteer Program (VIP) provides on the job training to individuals 17 years or older (if unaccompanied by an adult). VIP is a safe, fun, supportive environment for adults to learn skills prior to re-entering the job market, for community-minded families and individuals, for corporate groups looking for ways to serve the community while they work on team building skills, for college and school clubs and classes, scouts, church youth groups, and other civic clubs. Community Service Worker Program (CSWP) provides a volunteer job site for youth (17 years or older) and adults who need to satisfy pre-sentencing, court mandated, or rehabilitation ordered community service hours. Job Site Programs are provided in cooperation with a number of local job training programs for special needs youth and adults.